Stop by to refill or recycle your old tank. With 2 store locations and 8 depots throughout our service area, we offer true convenience. We also have a cylinder truck and 3 supply trucks that can deliver products right to your location. More than just a supplier of top-quality welding products, we also operate a repair shop on-site with 2 certified technicians that can repair your gas and welding equipment. Our stores have an entire fire extinguisher department, where we can test, recertify and recharge extinguishers up to 8000 PSI. Our factory-trained technicians can also install, inspect and repair fire suppression systems for equipment in a wide variety of industries. These knowledgeable technicians always keep up-to-date with the latest developments and changes in fire equipment as well. 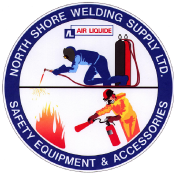 North Shore Welding Supply Ltd offers propane recharges for residential and commercial customers. We also provide hydrostatic testing and supply carburation cylinders available for fish plants and warehouses in the area. You can even bring by your old BBQ tank. Your used tank will be recycled and you can exchange it for a refurbished one. We have tanks ranging from 20 to 100 lbs. Along with selling complete tanks, we also stock almost every propane part available.